From Apostles of Temperance in Cork to locks on the Lagan near Belfast for todays image. The Eason collection has some interesting and educational images, and for me this was an eye-opener - as I never knew that the Lagan was managed and made navigable above the tide mark! When did all this take place and is it still in use? The lock keeper’s house still stands. A lane runs past the house to where there is a cafe, called the Lock Keeper's Inn. It's a favourite place for walkers and cyclists. 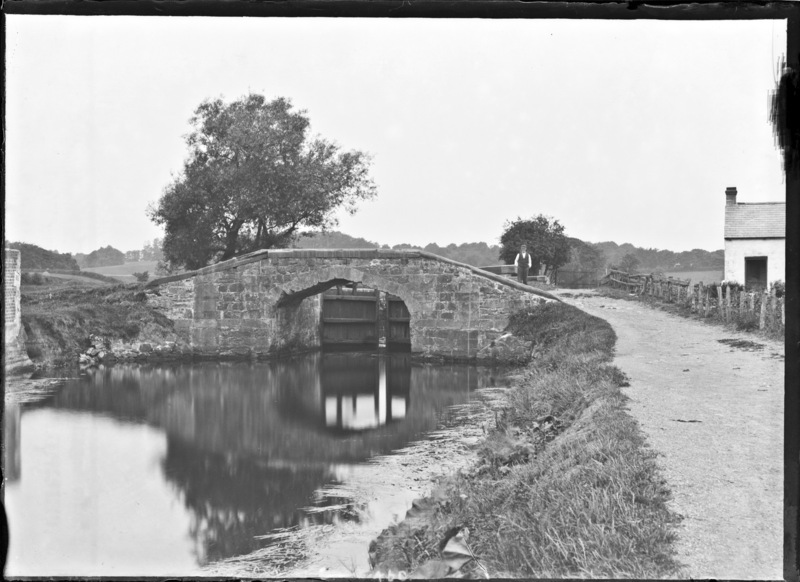 Lagan Valley Learning Centre has a pdf with the history of Lock no. 3. It includes a picture of the cottage with a similar looking man outside. Recently restored? Lots of information - en.wikipedia.org/wiki/Lagan_Canal Flickr is sometimes amazing! In 2010 via [https://www.flickr.com/photos/shrighley/] [https://www.flickr.com/photos/shrighley/5109102522/]The cottage on the right is way too cute! There’s another pdf with the history of the cottage, which is the second lock keepers cottage at this lock. [https://www.flickr.com/photos/[email protected]] so long as it's not a Starbucks. The NMNI has a reverse view. There is another reverse view at the NLI, this time with snow! [https://www.flickr.com/photos/[email protected]/] Not Starbucks but still poison dear.